Press releases eventually slide out of inboxes; promo deals come and go. But Steam’s stat page is forever – a slowly-shifting stone tablet of absolute truths. 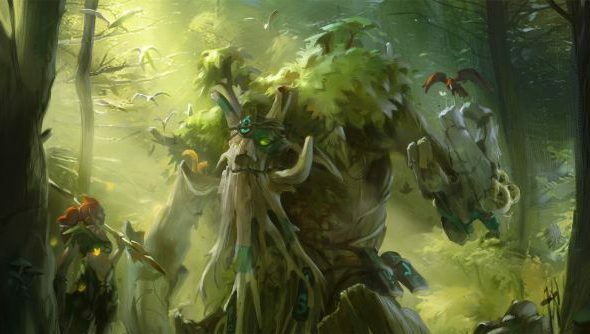 Dota 2 has sat undisturbed at its topmost peak for many months now, but this morning the MOBA claimed another quiet victory. If you’d totted up the total player numbers for every other Steam game on the top 100 most-played list, they still wouldn’t have matched Dota’s concurrent roster of heroes. When we last checked, 432,904 players were giving each other hell in the lanes of Dota 2. We had a team of System Shock 2 monkeys with psionic calculators add up the player numbers for the games on the remainder of the list, and the total they came to was 424,473. That’s a gulf of 8,431 players. Among that list are a number of Valve favourites, including all three versions of Counter-Strike, Team Fortress 2 and both Left 4 Deads. Dota 2 also bests a Payday 2 bolstered by Steam community rewards, a Total War: Rome II: Emperor Edition replete with brand-new campaign map, and a just-released Shadow of Mordor. That’s not to mention the evergreen likes of Civilization V, Football Manager 2014 and Skyrim – all of which you can find hanging about the top ten. Here’s the killer question, though: are you playing Dota 2? And if not, why not? It’s one of the best free games on PC, don’tcha know.